Here’s a little bit about some of the people we’ve worked with. To get a flavour of what we’re up to right now, head over to our press room. Breaking the mould with an innovative mix of natural plant-based sugars and cacao, each cold-pressed cube of Adam’s Chocolate contains yacon, lucuma and maca, also known as the ‘Lost Crops of the Incas’. With a velvety fudge-like texture, this unique chocolate delivers a real burst of energy, without the usual sugar crash to follow. Within a few steps of the River Dart in an Area of Outstanding Natural Beauty, Dart Marina Hotel & Spa is a rare find. It has a stylish but relaxing atmosphere throughout and an exquisite menu, which champions the abundant local produce. customers a very special kind of service in individual settings. With three restaurants, a farm shop and award-winning Christmas displays, you can be sure of a warm welcome all year round. The acknowledged benchmark for fine food and drink, Great Taste is quite simply all about taste. The Great Taste logo is a hallmark of quality and excellence, providing a highly respected seal of approval that consumers can trust when buying food and drink from their local retailers. Work, companionship and support are at the core of this community project. Based at Castle Gardens in Sherborne, The Green Shed provides a workshop for adults with learning difficulties to make a variety of wooden items, which are all sold at the garden centre. At the heart of the fine food world since 1995, the Guild supports and promotes speciality food producers and the independent delis, farm shops and food halls that sustain them. 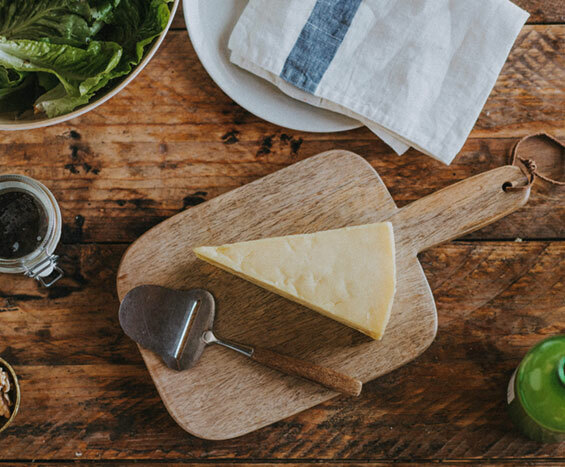 Backed by 1,300 members, it runs the influential Great Taste and World Cheese Awards. Bath-based Huskup was founded in 2018 to harness one of the world’s most abundant food waste materials, the humble rice husk, and bring takeaway coffee back down to earth. Entirely plastic, tree and toxin free, these reusable cups are both durable and biodegradable, simply decomposing and returning to the earth at the end of their lives. Inspired by the unspoilt Jurassic coastline of Lyme Bay and its local maritime history, Lyme Bay Winery makes multi award-winning country wines, English wines, ciders, meads and liqueurs at its winery in Shute, Devon. Lyme Bay Winery’s unique drinks are based on traditional recipes, but push the boundaries with the most up-to-date production techniques. Based in the heart of artisanal Bath, Meticulous Ink is a traditional printer and stationer, using time-honoured techniques to create exceptional printed items including bespoke wedding invitations and business stationery as well as own-brand greetings cards for the likes of Anthropologie, Fortnum & Mason and Liberty. Dedicated to the high quality presentation and preservation of art works, Mount offers a complete range of art services from its studio in Frome, including bespoke picture framing, printing, art installation and graphic design. 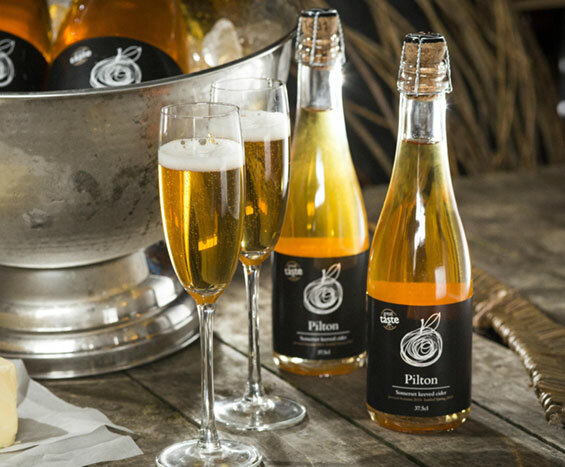 Pilton Cider is an award-winning whole juice sparkling cider produced in the heart of Somerset’s cider-land. Made using the time-honoured process of keeving, a method which dates back as far as the 1600s in England, Pilton Cider is amber gold in colour, with a refreshing and delicate apple flavour. Working in harmony with nature, Pipers Farm produces slow-reared, properly free range and grass-fed meat. 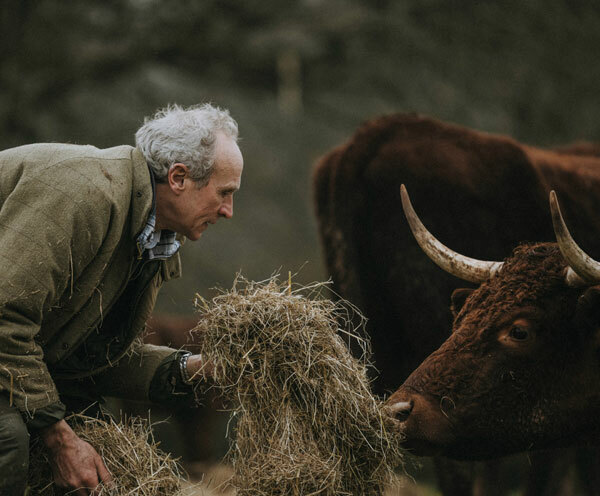 Turning their backs on industrialised farming three decades ago, founders Peter and Henri Greig have partnered with 25 other family-run farms across Devon and Somerset to help preserve passion, knowledge and skills in farming, while feeding families and sustaining communities. 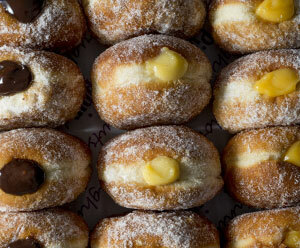 This band of bakers makes handcrafted doughnuts that bring people together and make them smile. Taking a nostalgic treat to the next level to delight families, friends and colleagues, Pippin makes truly exceptional doughnuts freshly by hand each day, with oozing fillings and generous toppings that live long in the memory. From home offices and spare bedrooms to holiday lets and spas, Plankbridge builds luxurious and bespoke shepherd’s huts true to their Victorian heritage. Plankbridge customers include The Pig Hotel, River Cottage HQ, Humble by Nature and Daylesford Organic. An award-winning destination pub offering the finest local and seasonal produce, The Queens Arms measures its food in metres, not miles. With its very own smallholding and kitchen garden, this quintessentially English Georgian Inn has plenty of character and rustic charm, along with eight elegant rooms complete with stunning countryside views. Nurturing the family’s land for 14 generations, Quicke’s crafts outstanding cloth-bound cheese from an idyllic corner of Devon. Understanding that cheesemaking is an art, which begins in the fields, Quicke’s farmers carefully manage their pastures, so that their specially-bred cows give milk that is a true expression of the landscape from which it came. Established in 2008 on a mission to turn natural ingredients into luxury handmade products, Derby-based The Quirky Cook has landed a huge haul of awards since launching its range of black garlic relishes in 2016. With family, community and honest food at its heart, The Quirky Cook brings a taste of the home kitchen to farm shops, delis and food halls across the UK. Overlooking the majestic sweep of Chesil Beach and the wide expanse of Lyme Bay on Dorset’s Jurassic Coast, The Seaside Boarding House is an oasis of relaxed sophistication. With its fine restaurant, proper bar and eight luxurious bedrooms with sea views, this is a place to unwind and escape the frenetic pace of the modern world. Established in 2013 by marketing consultancy, The Collaborators, The Seed Fund is a philanthropic organisation which helps fledgling food and drink businesses grow and flourish. Each year, a winner is selected from The Seed Academy to benefit from a full year of business support, brand development and on-going advice, a prize worth over £100,000. Founded by the fourth generation of the Forte family, who brought traditional Italian gelato to the UK over a century ago, Swoon now crafts award-winning gelato and sorbetto in the flavour labs of its Bath and Bristol stores. Dedicated to heritage, tradition and the finest ingredients, Swoon scooped the Great Taste Golden Fork for Producer of the Year in 2017. The Tickled Pig encapsulates the very best that the Dorset food scene has to offer. With a Michelin-recommended restaurant, a deli, an outdoor catering service and a range of hands-on courses, The Tickled Pig’s own produce shapes the menu. Love, care, freedom and fresh air is what sets The Traditional Free Range Egg Company apart from the crowd. Owners Dan and Briony Wood are proud to produce award-winning eggs using the traditional flat deck method and are committed to ensuring a sustainable future for likeminded family-run farms. Judging thousands of entries from over 30 different countries each and every year, the World Cheese Awards is a truly global cheese experience. Dedicated entirely to cheese, it offers an opportunity for small artisan producers to gain a spotlight for their cheese on a world stage.